Dr. Montessori was a scientist and educator who experimented with the developmental and educational needs of the very young child. The results of her experimentation are widely used throughout the world and have been scientifically reconfirmed. Maria Montessori persisted first in acquiring her own education when, against the wishes and advice of her family and friends, she entered medical school. Her dedication was shown when, as Italy’s first woman to ever attend medical school, she was the only one that would show up in class on snowy days. In spite of her professors’ objections, she became Italy’s first woman doctor. After she began practicing medicine, she worked children who had learning disabilities and found that she could raise their school entrance scores to a level above that of the “average child”. Due to her work, a group of businessmen asked her to open a preschool day care facility in the middle of Rome’s slums. This became the first “Children’s House”. By observing the children, she discovered that they preferred her prepared equipment to their own toys. Why? Through the years she found the answer. The children preferred the real to the pretend. They were in the process of “becoming” adults, and they enjoyed work. As they worked with her specially designed materials, their attention spans increased, and their knowledge increased. But these were the byproducts of the development of the total child. 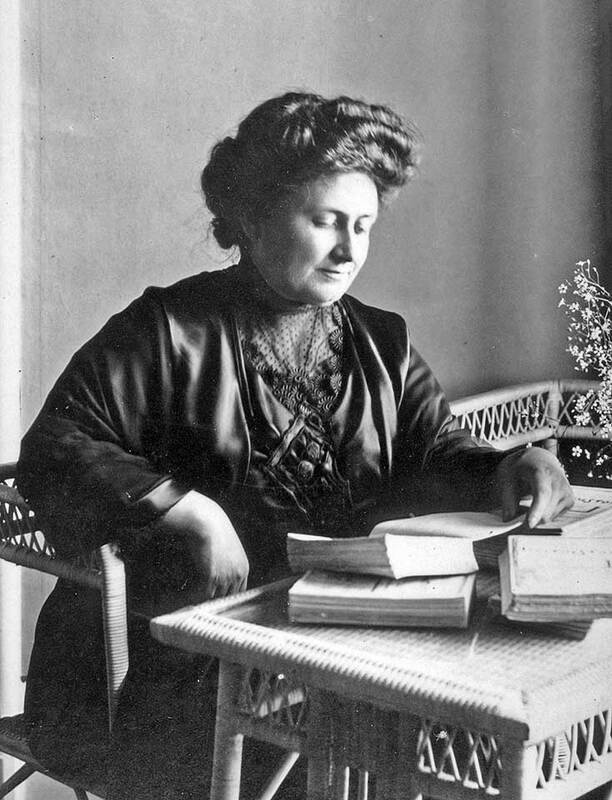 When World War II started, Maria Montessori was exiled from Italy. During the war she spent most of her time in India, opening more “Children’s Houses” and developing her philosophy and materials. Maria Montessori went on to thoroughly develop her methods through age 12. Recognizing that the child, by nature, requires a more abstract environment as they mature, she also provided many insights into the child’s educational needs beyond age 12. "The greatest sign of success for a teacher... is to be able to say, 'The children are now working as if I did not exist.' "